Production Bot, the mobile production studio platform, has released a new controller for its Switch systems. The Production Bot® Control Surface adds tactile controls and a traditional production switching interface to all Production Bot switchers. It features 12 backlit program, preview, and overlay buttons that work with the vMix interface. It also offers four downstream delegation buttons to quickly activate overlays, as well as a T-bar for smooth manual transitions between sources. For customized control, there are user-assignable function buttons that can be set to vMix shortcuts, including complex macro-styled trigger events. 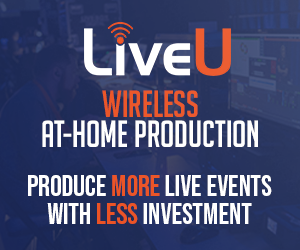 The Production Bot® Switch is an extremely portable "switcher in a suitcase" and comes preinstalled with vMix live streaming software. 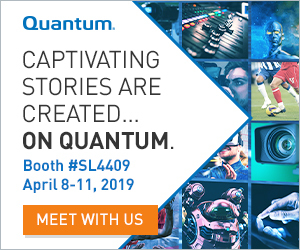 Live X production professionals will be on site at Newtek’s NDI Central Pavilion (SL5516) at NAB 2018 in Las Vegas to demo the robust capabilities of Production Bot® when using NDI, and showcase its live streaming features. Production Bot is a platform of portable, powerful production computer systems for the broadcast, film, television, and experiential / live event industries. 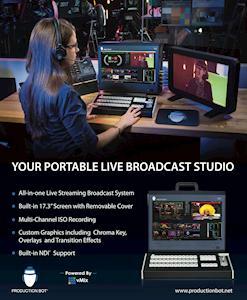 Built in a briefcase-size, all-in-one housing with industrial-strength mainboard, processor, memory, and graphics specifications, Production Bot is designed for speed and power, and tailored for travel, specifically for live streaming producers, film editors, and GFX designers.